The fire sprinklers in commercial properties are vital to the safety and continued operations of businesses. However, while many property owners install these systems and forget about them, sprinkler maintenance is pivotal to the continued protection and viability of these systems. Different elements of your sprinklers should be checked at various intervals throughout the year. At least once a week you should check the control valves and the gauges. However, this varies based on sprinkler style. Control valves should be tested on any system, ensuring they are properly sealed, free of blockages and in the open position. Gauges on a deluge, pre-action or dry system should be inspected weekly for normal pressure readings. General sprinkler maintenance requires that gauges in a wet pipe or water-based system are inspected at least once per month. Also, alarm valves should be checked externally. Primarily, you are looking for any signs of damage and checking that appropriate pressure is sustained. Either four times a year or at the change of every season, you should check the alarm devices and the hydraulic nameplate. The devices should be inspected for any physical defects, and the hydraulic nameplate should remain secured to the riser. Also, make sure that the nameplate is legible. A plumbing specialist in the Chinatown, MA, area should be called out once per year to inspect the entire system. While you may be performing all the required visual inspections, a specialist will ensure that the mechanics of the system are operating as they should be. Sprinkler maintenance is essential to the proper functioning of your fire suppressant system. Without adequate inspections, it is possible that your sprinklers will be clogged and fail during a time of crisis. Therefore, perform the visual checks as described, and once per year hire a professional. Finding a mold problem in your commercial building in South End, MA, can be frustrating. It may seem that there is nothing you can do to foresee and prevent such issues, but that's not usually the case. Keeping your building dry and clean with regular tasks such as air duct and carpet cleaning can help you stop mold in its tracks. Here are three tips for upgrading your cleaning practices for fungus control. Mold spores love to latch onto dust, so it logically follows that the less dust you have in your building, the less likely you are to have places where mold will want to settle and grow. Your HVAC system is full of hard-to-reach places for dust to gather. It's a good idea to have it cleaned professionally once a quarter to prevent a buildup of dust for fungus to feed on. development. Regular carpet cleaning as well as the placement of industrial mats at every door to catch some of the spores as people enter can prevent this problem. Your janitorial staff probably vacuums your building daily. 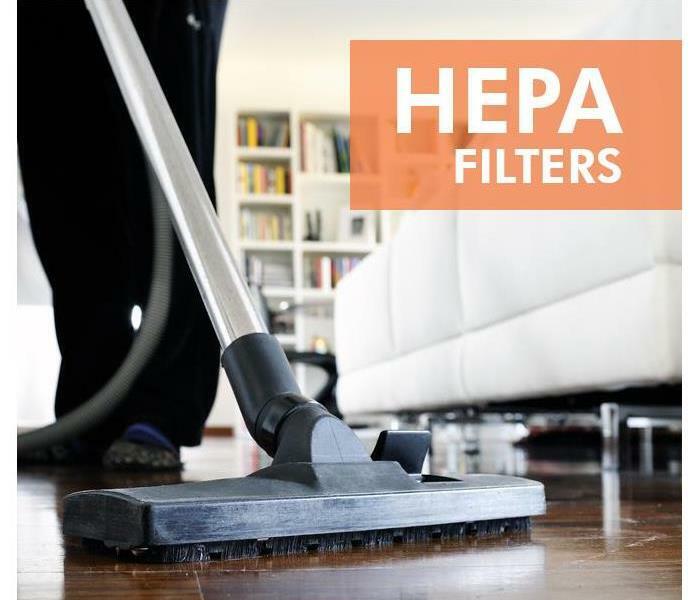 To further improve air quality and thus lower the number of particulates in the air, mold remediation specialists recommend vacuums with HEPA filters. These filters clean the air by trapping fungus spores and other particles. The fewer spores you have in the air, the less likely they are to settle and create mold problems. You don't have to resign yourself to the assumption that a mold problem is something you will inevitably have to deal with. With thorough carpet cleaning, vacuum upgrades and professional duct cleaning, you can reasonably expect to prevent a mold growth in your building. SERVPRO of Boston Downtown can perform pretest in your home or business. As a Seaport, MA, business owner, you may be concerned about what kind of damage natural disasters can cause and how they might impact your insurance premiums should you need to file a claim. However, there are ways to lower the risk of an incident, and one of the most effective can be pretesting. This process can help you find vulnerable areas around your commercial property that may be more at risk to disaster than others so you can make repairs or upgrades and lower the risk of needing to file a claim in the future. If you suspect one area of your building may be prone to problems during a flood or high winds or that a problem already exists, pretesting can confirm your suspicions. For example, if one side of your property experiences poor drainage, this type of testing can help assess risk and the grade of the problem. If it is a high-risk issue, then you may need to call your insurance agent with this information and ask about making a claim. After testing, your emergency disaster response team will likely go over the results with you and then offer a variety of options for repairs and upgrades. Some may include the tearing out and replacing of certain building materials or making improvements to a fire alarm system to promote early detection. This can be beneficial, as an array of options may help you be more flexible with your finances. A professional disaster mitigation and restoration service is usually capable of performing these tests, and its experienced technicians can help you feel confident about they results they report. They may also be able to advise you about making an insurance claim based on the testing’s findings. Pretesting may lower the financial risk associated with making an insurance claim on your Seaport, MA, business. From fires to floods, knowing where problems may lie can reduce the chance of serious damage to your building if these events occur. 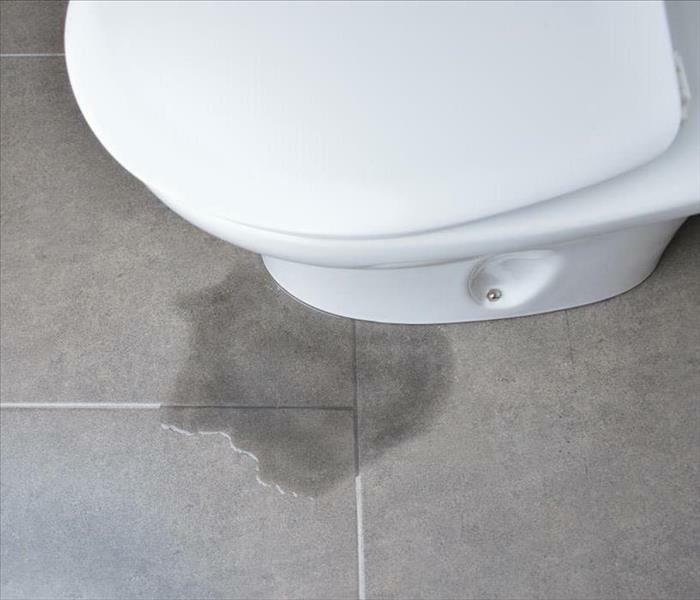 Replacing an old, leaking toilet with a new model doesn’t have to be a hassle. Measuring before commencing the project and taking steps to minimize water seepage can help every homeowner in South Boston, MA, efficiently accomplish the task. Mold cleanup can be a complicated process. If you have house mold in Back Bay, MA, you will likely need to enlist the help of mold remediation specialists. If your problem covers a space smaller than 10 square feet, however, you may be able to address it yourself. To do so, you will still need to follow certain steps. If at any point in the process you discover that the problem is bigger than you can resolve, contact the professionals immediately. Mold tends to root itself into the pores of the surface on which it grows. If the fungus has infested an item too deeply, that item will need to be thrown out. Mold experts can help you distinguish between items that can be saved and those that must be replaced. 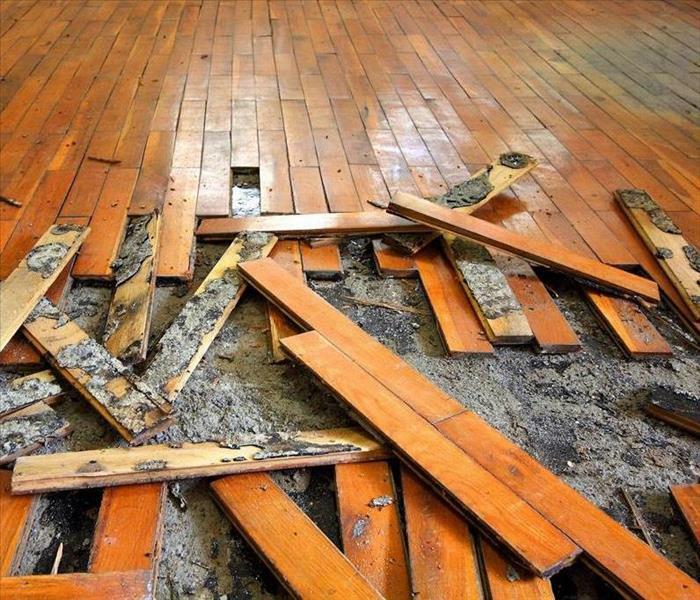 If unsalvageable areas are part of the structure, such as walls or ceiling tiles, the work must be done professionally. No matter the size of the problem, these four steps are essential to getting rid of house mold. If the problem is small, you may be able to clean it, but when in doubt, call the professionals. If a client has suffered damage to his or her Boston, MA home, it is important to act quickly. SERVPRO’s 24 hour availability makes them a top choice for many insurance agencies. Here is what you can expect during the first several hours after contacting the restoration company. When a building has been damaged, the response time is an important factor in how time-consuming and how costly restoration will be. 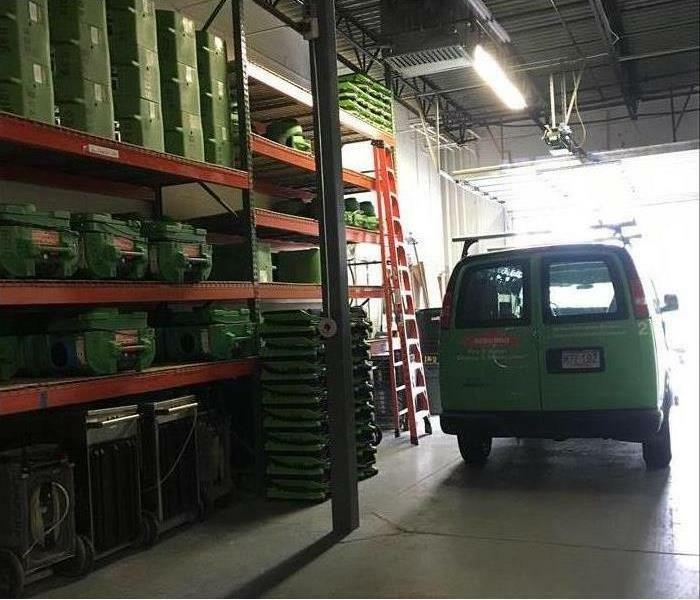 SERVPRO is always open, so you can expect to hear back within an hour after you have contacted them about the emergency. Once you have provided them with the necessary information, they will begin preparing to address the needs of your client. 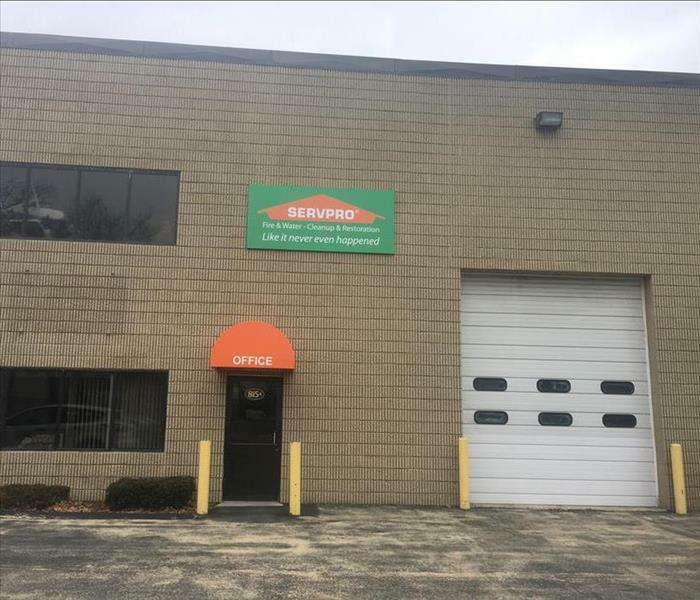 With over 1,700 locations, SERVPRO can arrive quickly to any emergency. They can be on site to begin the restoration process within four hours. This fast response can make a huge difference if your client’s home has suffered a great deal of damage. Beginning the process more quickly will result in less damage overall which can end up costing the insurance agency less money. Once the damage restoration specialists have arrived, they can inspect the home to determine the extent of the damage and decide on the best course of action moving forward. This should all happen within eight hours of your initial call. They will provide a verbal briefing so that you and your client are aware of what will happen next. Their quick 24 hour response will allow them to begin mitigation as soon as possible to prevent any further damage before they begin work on necessary repairs. Because it can spread and worsen quickly, the 24 hour period after damage has occurred is crucial. SERVPRO’s fast response will save the agency money and allow your client to have their home back sooner. When water intrusions are not addressed right away, the resulting damage can present increased risk of harmful mold growth. Intrusion of water into your home or building can result in mold growth. Water intrusions can occur due to storm damage, plumbing or equipment failures, long-standing leaks and poor humidity control. When water intrusions are not addressed right away, the resulting damage can present increased risk of harmful mold growth. If the humidity and moisture levels in a water-damaged environment are not promptly returned to normal, mold spores may grow and multiply. Organic materials found inside a building, such as wood, paper, drywall and insulation, provide food sources for mold to flourish. Excessive mold growth can lead to indoor environmental conditions that pose a health threat. If you are sure or suspect that there is mold in your home or building, call SERVPRO immediately at (617) 227-2200. The longer you wait to call, the mold growth with continue to spread, resulting in a greater chance of unrecoverable property. SERVPRO professionals have the expertise to prevent or mitigate the devastating effects of mold damage. How to Handle Fire Damage Restoration? The fire engines have driven off. 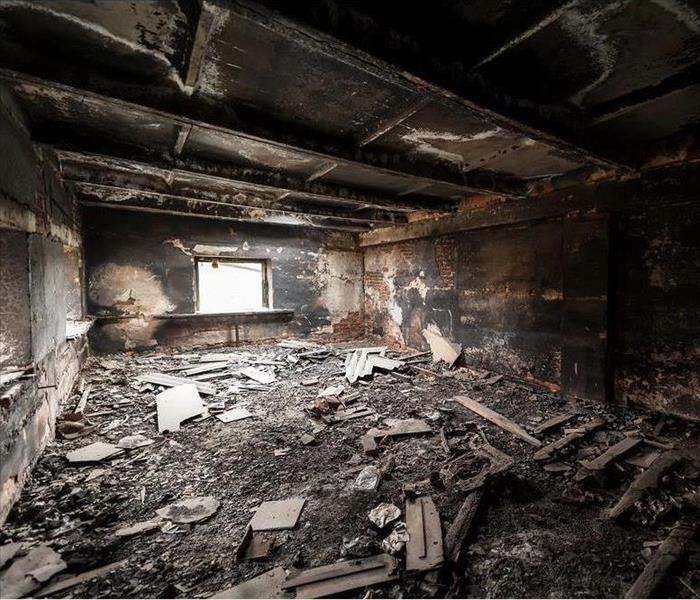 It's time for you to get into action to recover from a fire loss and restore your property. Having a fire cleanup action plan ensures you lessen the water damage, smoke damage, and soot damage. The damage may include fire damage from a fire in a home or commercial fire damage. Things get burnt beyond the usable state. Here are a few things to help you recover faster from a fire loss. Is the fire damage critical? A fire in your business may require you to find alternative accommodation or work plans for a fire in business. The fire in a business may have caused irreparable damage to electronics and paperwork. Do a quick evaluation. Which sections or items are completely gone and which ones are salvageable? A fire in business may require contacting more people. Differentiate between those that need urgent attention and those that can wait. 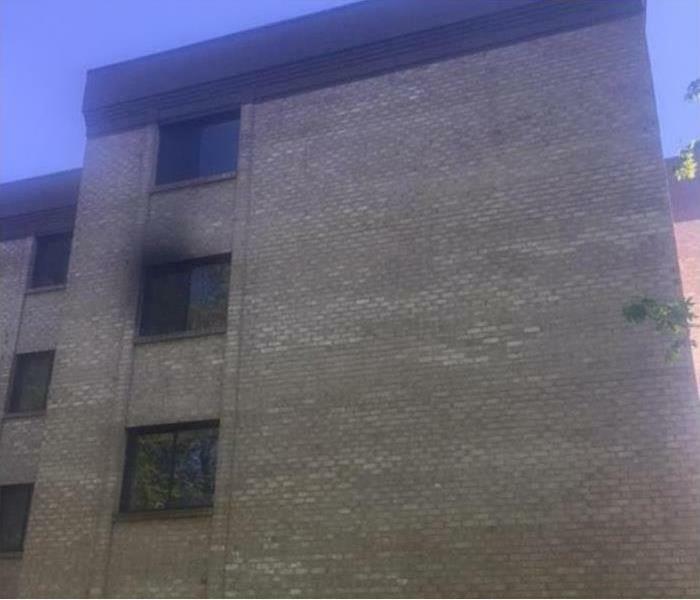 Determine if you need professional fire damage restoration services. A fire at a home may be easier to handle. A fire in business may require more consultations. Besides fire loss, water and smoke damage also occur. Additionally, air quality goes to the dogs. Most firefighting is done using water. After a fire in a facility, excess water is left in the rooms and contents. Moisture is neither good on painted surfaces nor wood. Excess water destroys them. Also, in a commercial fire damage, water destroys documents and electronics. Fire emits smoke which coats the nearest surface. This causes smoke damage and soot damage. Vacuuming, laundering and a little elbow grease may take care of soot damage. Expel out the bad air caused by smoke damage. Deodorize the room to improve air quality. Burning fire produces harmful gasses, smoke, and debris which lead to bad air quality. In some instances, getting the air quality back to normal may take several days. Commercial fire damage is a double edged sword. A fire loss includes not only damage to property and investments, but also a loss of revenue due to closed operations. It is, therefore, crucial to get fire cleanup services as soon as possible. To speed up the recovery from fire damage, engage a professional service. Consider a few things when selecting an excellent service to help you recover from a fire loss. What kind of expertise and experience do they have? Request a quote or free survey and evaluate them as they evaluate your commercial fire damage. Ask for referrals of fire cleanup sites they have handled. Do they provide assistance in dealing with the paperwork? You may be required to make reports to law enforcement, building committees or insurance companies. In commercial fire damage, you may also be required to inform stakeholders. Besides fire cleanup, do they offer extra services such as smoke damage and soot damage cleanup, and water damage repair. Responsiveness and availability: You cannot predict a fire in a facility. How fast is the response? Are they on call 24/7? Whether it is a fire in a home or a fire in business, a quick response is essential to minimize loss. Besides fire damage, other areas need attention such as restoration from soot damage. Professional fire cleanup services will get the job done quicker. If you work in an area like Waterfront, MA, that experiences frequent storms, you may be wondering what exterior maintenance steps you can do to help protect your business from the weather. Fortunately, there are a few steps that many experts recommend. One important aspect of storm preparation is to be aware of the weather. Knowing when you can expect a large thunderstorm or snow can allow you to prepare ahead of time. This can help you prevent possible damages. Depending on the weather you're expecting, you may choose to protect your building. Several possibilities include boarding over windows, or placing tarps over vulnerable landscaping. You may also choose to contact a local professional for a recommendation on preventive steps you can take. Another aspect of storm prevention is regular exterior maintenance. Scheduling a regular building inspection can help you find and repair any problem areas before they become vulnerable to a storm. Keeping your building maintained can help prevent long-term damage. 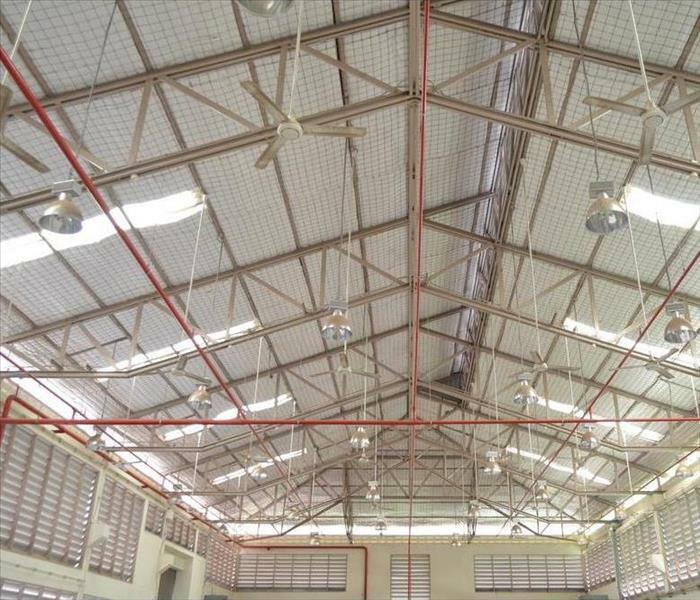 Conducting repairs to any damaged areas you find as quickly as possible can help you stay on top of the building's maintenance needs, and help prevent long-term repair cost. Another important step for storm preparation is to know who to call for repairs. 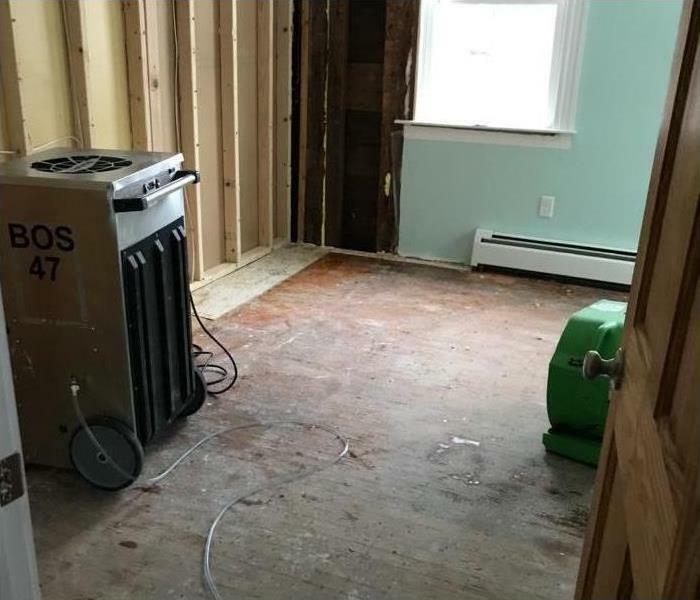 In many cases a water damage restoration team can help with any flooding or water damages that may have occurred. When preparing for a storm, these exterior maintenance steps may help you protect the building. Know what the weather in your area is going to do so that you can prepare beforehand. Inspect the property regularly, and conduct repairs as soon as a problem area is found. For large repair jobs you may want to contact a professional. 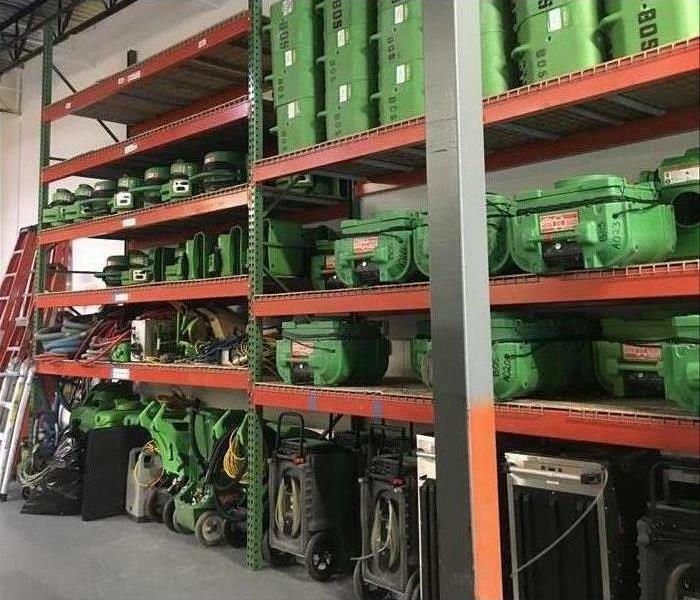 2/12/2019 - How to Handle Fire Damage Restoration?